This website is designed to serve as the central hub for all things P-TECH. The site focuses on the key elements that characterize the P-TECH Model and provides action-oriented guidance and resources to enable implementation of the model with quality and fidelity. The site also features a series of case studies from P-TECH model schools, to ground the key elements in actual, effective practice. IBM and its education team, working in collaboration with the schools, colleges, and industry partners of the larger P-TECH network, developed the content on this site. As the P-TECH Model evolves, so will this online resource. We will continue to add strategies and tools based on best practices from P-TECH schools around the world. 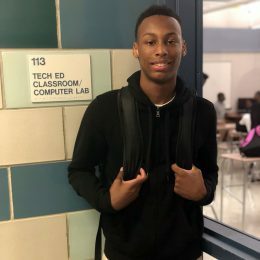 This model began in September 2011 at Pathways in Technology Early College High School (P-TECH Brooklyn) in New York, through a partnership among the New York City Department of Education, The City University of New York, New York City College of Technology and IBM Corporation. Much of the content on this site reflects the work of these partners and has been enriched by the forward-thinking efforts of the schools that have followed. Together, we are dedicating our collective expertise and resources with the goal of linking education to economic opportunity for all young people.